Rent villas in Murvica (Brač), Croatia with private pools. 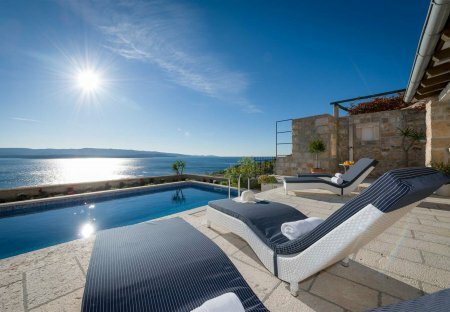 This 3 bedroom villa with private pool is located in Murvica (Brač) and sleeps 6 people. It has WiFi, a garden and barbeque facilities. Villa Murvica is a wonderful, luxury villa, located in a beautiful, hidden place called Murvica. Surrounded by stunning sea views and breath-taking beaches, the villa is truly unique and special.